When your heating and cooling system is not working properly, it won’t take long for your home or business to become uncomfortable. 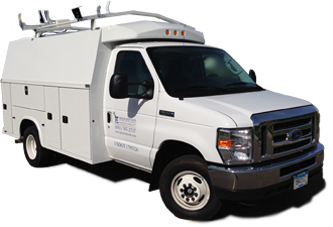 You’ll need a White Bear Lake HVAC contractor that can dispatch a HVAC contractor to your location in a timely manner. And you’ll want an HVAC contractor that will be able to correctly identify the cause of the problem, and develop and implement the best solution. 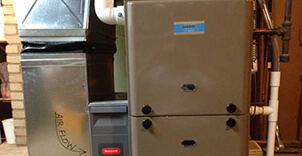 There is no shortage of HVAC contractors that offer service for the White Bear Lake area. The big question is, what kind of service will you get? 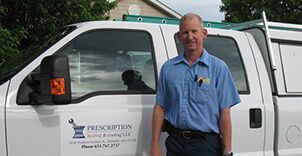 Prescription Heating & Cooling is located nearby and our employees also live in the White Bear Lake area. You won’t have to wait for a technician to travel sixty miles to get to your residence or business location, when you choose a local White Bear Lake HVAC contractor. Our White Bear Lake HVAC contractors are highly qualified to service both commercial and residential HVAC systems. They are trained to diagnose problems systematically so the real problem can be readily identified. Whether your equipment just needs an adjustment or replacement parts, your HVAC contractor will evaluate the system and let you know how much time and what the repair costs will be. Then, with your approval, they will ensure the problem is properly corrected. Our White Bear Lake HVAC contractors have the expertise to repair any heating or air conditioning problem you might have, but sometimes the cost to repair an older inefficient system might not be justified. If this situation were to arise, we would give you an analysis of the costs along with the pros and cons of repair vs. replacement. Should a replacement be the best solution, we carry a complete line of high quality HVAC products. One thing you can do to ensure that your existing equipment is operating at its maximum efficiency and to keep it operating reliably for many years is to have regular preventive maintenance checks performed by a White Bear Lake HVAC contractor. While this can be done by calling for service regularly, it is far more economical to do it on a planned basis. We have annual maintenance contracts available that can meet your exact needs. As a contract customer, you would also receive priority scheduling, discounted service, and any repairs done under contract would include a one-year warranty on parts and labor. It’s best to establish a relationship with your local White Bear Lake HVAC contractor now, rather than wait until you have an emergency. Setting up regularly scheduled service checks will ensure you are keeping your energy costs down, and you may very well prevent an inconvenient air conditioning breakdown. Should the worst occur, you will have peace-of-mind knowing that you will get prompt, efficient service to get your system working again. We strive to provide the best possible service available at competitive prices as White Bear Lake HVAC contractors. We even provide emergency service 24 hours a day, every day of the year. For more information or to schedule service, call us now at (651) 767-2737 or Click Here to Receive a Free Estimate.